Greenhouses are an ideal set up for growing orchids. Growing orchids in Africa, especially in Kenya, is booming business. The fact is that the flowers are rare yet the climate is favorable. Greenhouses in the country are used more to stop cold winds than for favorable temperatures. Being an equatorial region, temperatures will always be at optimum for the growth of orchids. The materials used will depend on what kind of climate you live in. In the hot zones, your biggest problem will be probably cold nights humidity and water retention. These conditions will do very well with fabric green house covers. These are able to keep optimal temperatures without it getting too hot in the greenhouse. Plastics and polyfiber sheets are also ideal though expensive. They can easily control the weather. In cold climates, Films will do excellent heat retention. The thicker the better. The tropical and the Mediterranean climates will allow most covers to be used including polyethylene and fabric. Glass is not ideal in very cold climates as it easily loses heat. It is however ideal in climates with warm nights and hot days. All greenhouse covers are suitable for blocking against cold and strong winds depending on the framework of the greenhouse. The best greenhouse covering for orchids should consider the amount of light coming in, water retention and heat retention. All these will affect the humidity of the greenhouse at the end of the day. The covering should be able to also last for long in terms of durability. Cheap and weak materials will get torn or damaged compromising the integrity of the greenhouse. The best covering should cut across the climatic needs of the orchids and allow control at the same time. This means that the conditions in the greenhouse should be easily manipulated despite the type of covering. This will also depend on the type of mechanism integrated into the green house. Most are manual but some will prefer remotely controlled openings and greenhouse controls. The most favorable material in Kenya for growing orchids is polyethylene films. The reason for this is because of affordability and functionality. These films come in different thicknesses depending on the budget and the needs of the buyer. The thickness affects durability and heat retention. The thicker they are, the stronger and more durable. They will also retain more heat. The fact that the country has optimal temperatures makes this concern lesser risky. The biggest risk in any greenhouse would be diseases and water. The film is perfect for retaining water and keeping a perfectly humid condition. This is about 40% to 60% for optimal growth. The film can also withstand heavy winds and keep out unwanted chills for favorable climate. The fabrics are also usable though. These are a bit more expensive but will give the same results as the films. The fabrics are basically woven plastics that are tough and durable. The beauty of orchids is the simplicity of growth. They are mostly affected by cold winds, weather and lack of water. This makes all greenhouse materials for cover ideal in Kenya. The issue is left to durability and affordability. It is always advisable to buy durable materials. This should however not stop you from having your orchids. The coverings should be worth the size of the green house. Do you have a greenhouse? What type of cover works best for your part of the world? Leave a comment below and tell us about it. For more information about growing orchids, check out these orchid care instructions. I need a greenhouse cover that allows the maximun amount of UV radiation to penetrate the cover. I do not want the cover to block the UV—as the animals use the UV to grow strong bones. 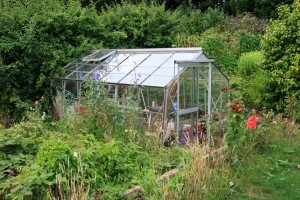 I have searched the internet and only found blocking greenhouse plastic. That type will not be helpful at any time. Thank you so much very useful info. I plan to move back to The north of Somalia, the polythene covers in the UK I was advices would not be good in Somalia as the sun radiation would be too strong. What sort of polythene would I need? Would kindly appreciate if you could advices me on it. And where best to buy it from? Hi – thank you ever so much. That would have been a really good idea, but sadly I will be the first one to do greenhouse. I am from the north of Somalia – there are no farms who grow vegetables we import it all from Ethiopia – that’s why I am quite excited been the first one to establish a greenhouse. Do you think a 200 micron UV treated film would suit to my climate, average 30 degrees yearly?? I have been doing a lot of research specially of kenyan farmers, they mostly use 200 micron covers, would you think it would also be ideal for northern Somalia?